Both Aidan and Joseph O'Brien could have contenders for the Melbourne Cup with Order Of St George and Rekindling in contention for the Flemington feature in November. Aidan O'Brien has had a handful of contenders in the two-mile 'race that stops a nation' with Mahler's third in 2007 a particular highlight, while his son Joseph is only in his second full season as trainer and is yet to send a runner. Australian Lloyd Williams solely owns Rekindling, while he shares Order Of St George with the Coolmore team of John Magnier, Michael Tabor and Derrick Smith. Williams' son, Nick, reports both horses to be under consideration for the November 7 contest, but indicated Order Of St George may be their preferred runner, depending on how much weight he would be expected to carry. “I'd say Order Of St George probably has a better chance of coming than Rekindling,” he told www.racing.com's After The Last show. “Rekindling will probably run at Doncaster in the Leger. He's only a three-year-old and has had quite a long year. I've had a number of chats with Joseph about bringing him and he's actually very, very keen to bring him out here. “I'm a little concerned about the travel and the fact he's had such a long year, so we've agreed to wait until the Leger and we'll work it out from there. “It seems Aidan and the lads (the Coolmore triumvirate) are a little keener to bring Order Of St George than they were last year, but there's still a bit to play. Williams also has last year's Melbourne Cup winner Almandin among his sizable group of contenders, with first nominations for the race closing on Tuesday. 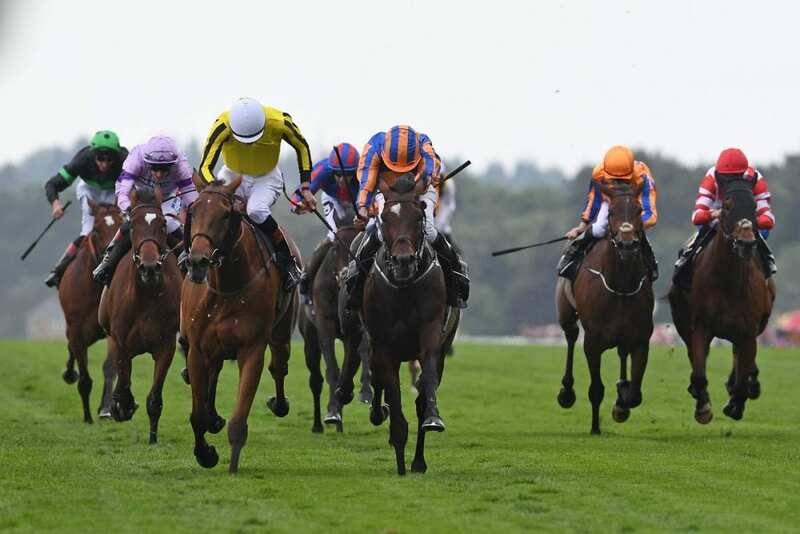 This entry was posted in Racing and tagged aidan o'brien, Horse Racing, joseph o'brien, melbourne cup, order of st george, rekindling, thoroughbred by British Horseracing Authority. Bookmark the permalink.